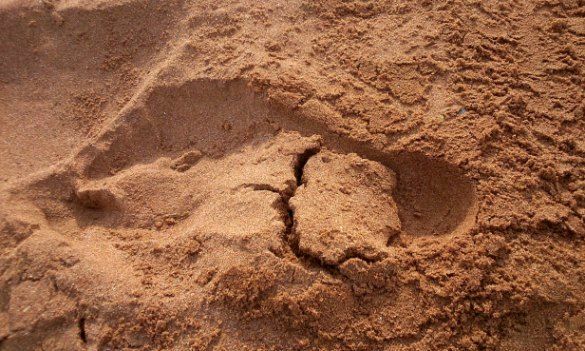 In this week's special episode of HBM's Crypto Corner, Henry May delves into the topic of footprint casts. Henry focuses on Dr. Jeff Meldrum and Cliff Barackman. These two guys have been studying tracks for many years and are considered the go-to-guys when it comes to identifying tracks that could've been made by a Bigfoot. Now, personally I like to see more corroborating evidence when I see just a picture of a track or cast. It seems that many people on social media will just post a single picture of a zoomed in track in the dirt. While this could be evidence to the person taking the picture, without more evidence to go with it, it really doesn't carry much weight. I think if someone finds a track or tracks, they should take as many pictures as they can. Not just of the tracks, but of the surrounding area as well. They should also make a video showing the tracks and the surrounding area. While Jeff Meldrum might be an expert in primate foot morphology, no one is an expert on Bigfoot. What we really need is an actual foot to compare the tracks to, because tracks by themselves are really just too ambiguous.